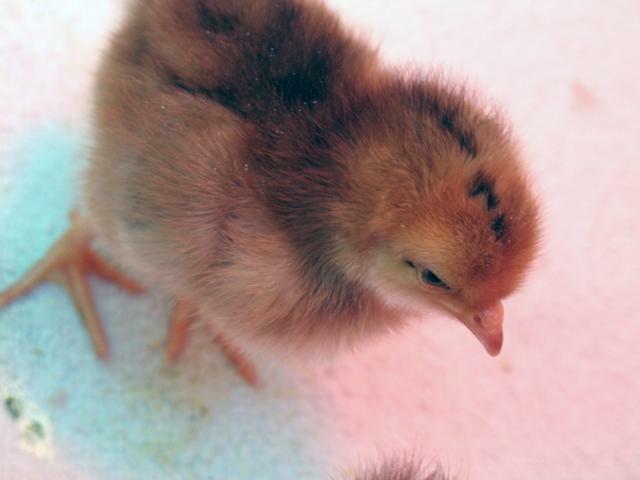 We haven't named most of the chicks yet: their personalities seem to slowly be developing, so we're biding our time. This Barred Rock chick is very friendly, inquisitive, and brave. 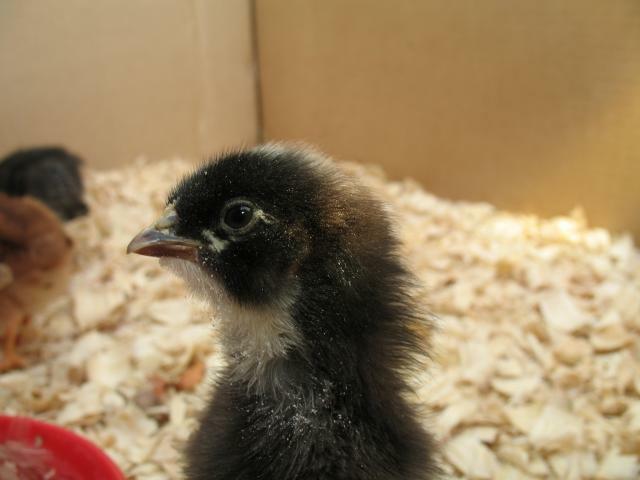 She ran right up to the camera: I got the photo just before she went to peck at the lens! 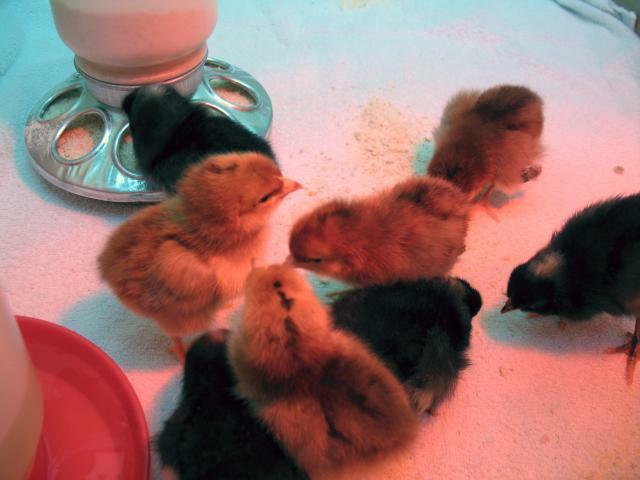 This is the first picture I took of almost everyone...one chick's missing from the photo. It seems to me that they've already changed a lot, in the 3 days since we opened the box from Meyer Hatchery, but that may just be n00b talk. I'm sure someone can set me straight on that account!